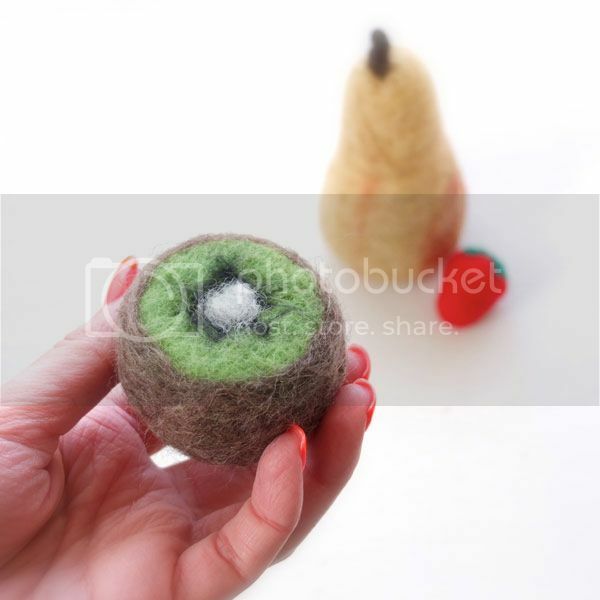 Emma loves playing with pretend food, so I thought I would add some felted fruit to her collection. She loved when I surprise her with little gifts, what kids doesn't? Although I'm sure she'd prefer a My Little Pony if she knew they existed. 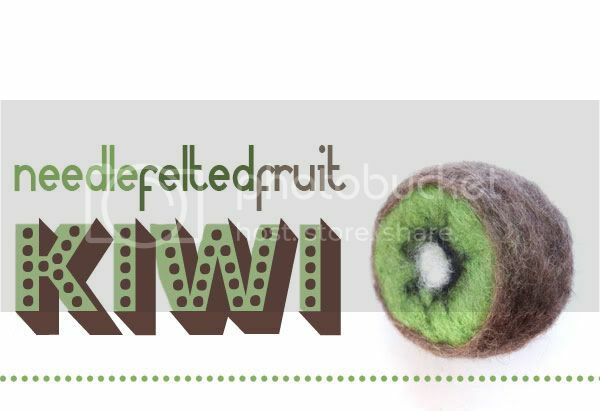 Today I'll show you how I made this kiwi fruit, and also how to use carding brushes to blend roving colours. 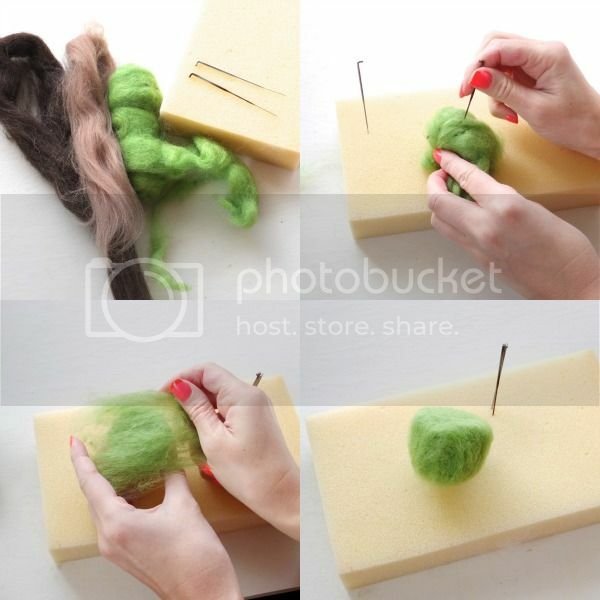 - To make the basic shape, take a small ball of green roving and start needling to form a half egg shape. Add layers of roving and keep needling until you are happy with your shape. 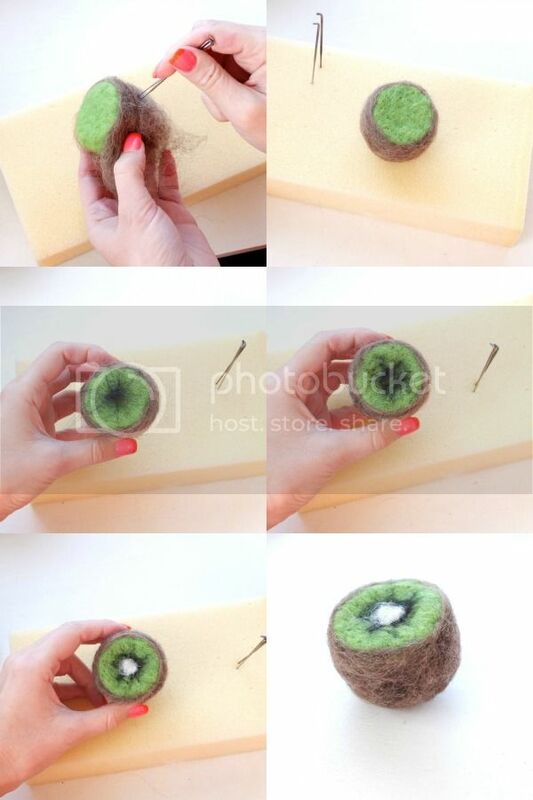 - To make the skin, take a layer of brown roving and needle it in around the outside of the kiwi shape. Add several thin layers to make an even coating. - For the seeds lay just a few fibers in a star shape on the top and needle this in. - Finally add a small amount of white to the center to finish off the top of your kiwi fruit. 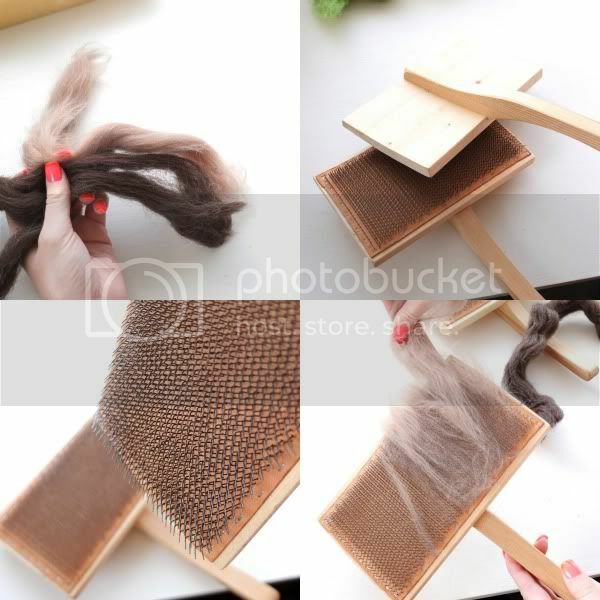 - Go over the whole surface till the wool is firmly felted and you can not peel it off. - Periodically roll between warmed hands to keep the shape even and remove needle marks. - Finally to tidy up any stray fibers, give the kiwi a 'surface needle' (rub the needle across the surface). I didn't quite have the right shade of brown for the skin of the kiwi so I blended it myself using a set of carding brushes. Carding brushes have fine angled wires that pull the fibers apart and align them. They are used to clean, process and blend wool or fleece. - To blend, pull a fine layer of each colour over the teeth. 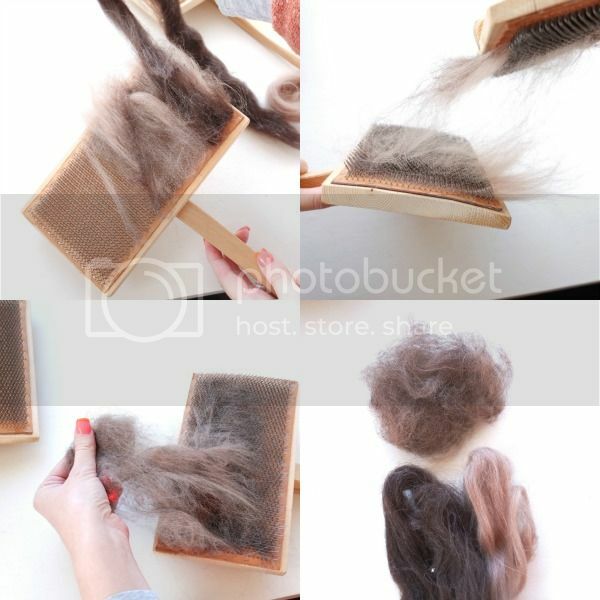 - Pull your blended fiber off your brushes and your are done! I hope you enjoyed this little project, next week I'll show you how to make a cute little strawberry and a pear.